This dish will wow guests at a dinner party, be a crowd pleaser at an informal gathering and satisfy your tastebuds on a quiet night in. 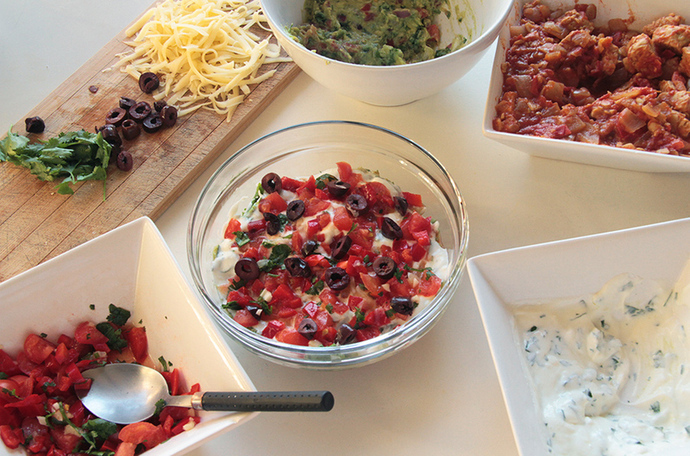 This recipe is to make two individual bowls, however, it can easily be multiplied to serve more people and can even be served in one large bowl that people can then dip into with chips or cut up vegetables. 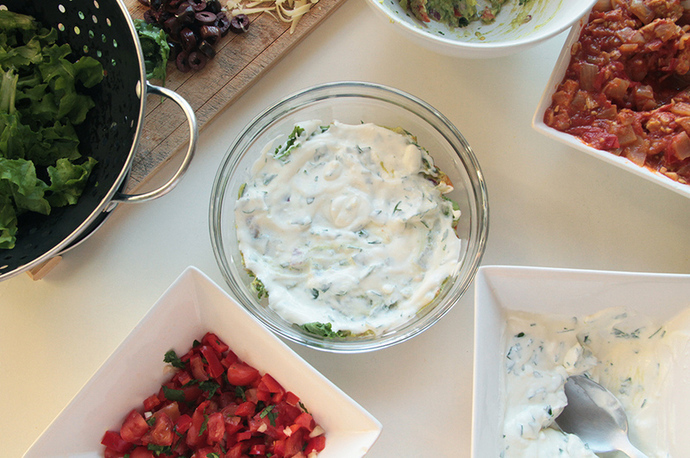 The absence of meat and the use of Greek yoghurt instead of actual sour cream in this recipe make the dish a healthier version than the typical Mexican layered dips bowl. 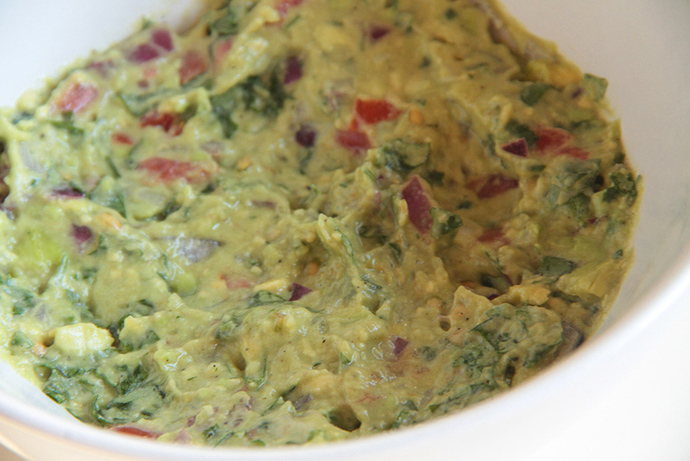 It's also packed with lots of fresh vegetables and herbs, especially in the guacamole. 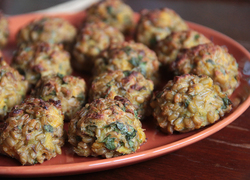 Making this recipe does take quite a bit of preparation, mainly because of the chilli con "tempeh" layer, so feel free to leave it out to make the recipe easier and quicker. 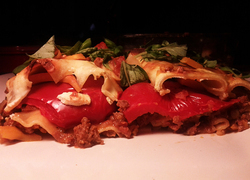 If the thought of tempeh doesn't tickle you anyway, replace it with beans, or even beef mince or chicken pieces. The bowl can be served with corn chips or torn up bits of pita bread, however, it's still wonderful (and filling) simply on its own. Firstly prepare the complex layers. 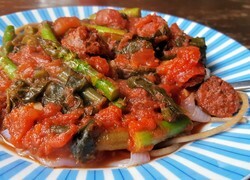 To make the chilli con "tempeh", follow this recipe for tempeh bolognese, but omit the herbs and add the chilli powder. Leave aside to cool in a bowl. 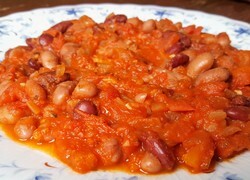 For the kidney bean mash, finely chop the onion and fry over high heat until cooked through. 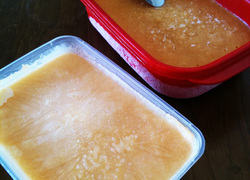 Place in a food processor with the other ingredients and blend until smooth. If you don't have a processor, mash in a large bowl with a fork or masher. 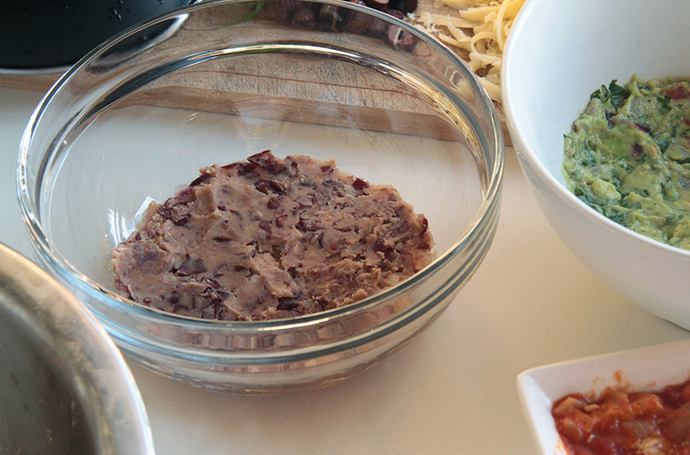 This will result in a more chunky mash, but still works well in the overall dish. 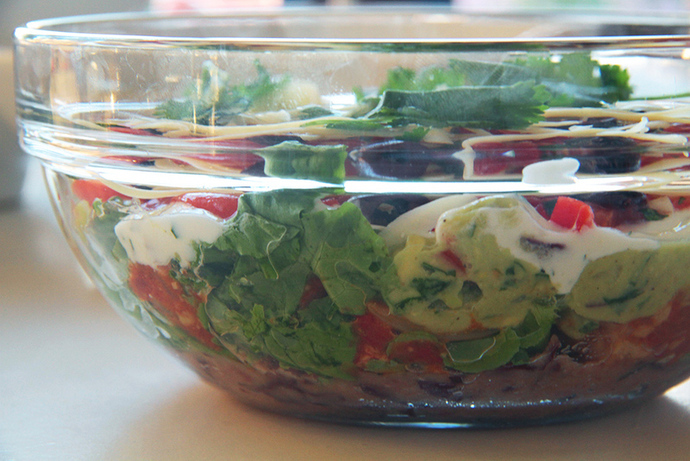 Place in a bowl, cover with cling wrap and store in the fridge for later. 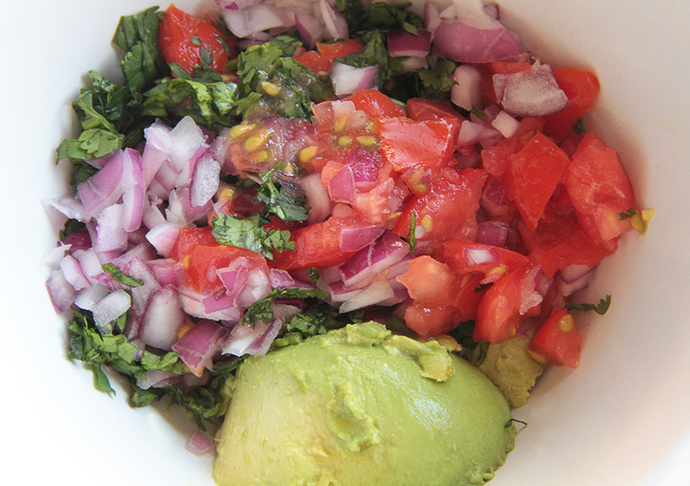 For the guacamole, finely chop the onion, tomato and coriander and place in a bowl with the avocado. Mash with a fork until well combined. Squeeze over the lemon juice and season with salt and pepper. Stir through, then store in the fridge for later. 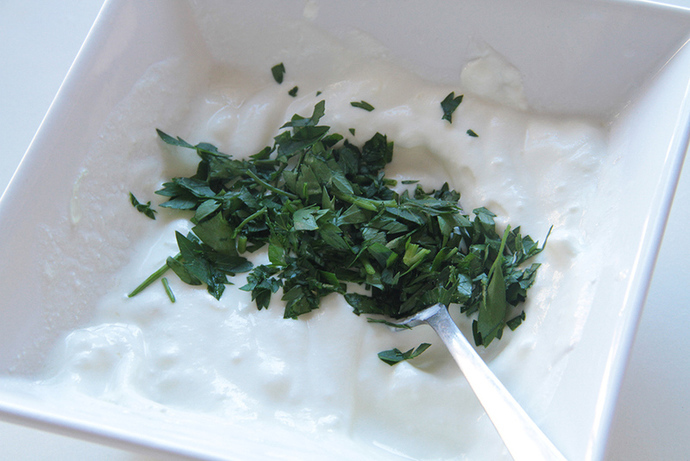 For the "sour cream", place the yoghurt in a small bowl. Finely chop the parsley and add to the bowl with the lemon juice. Mix together well. Store in the fridge. 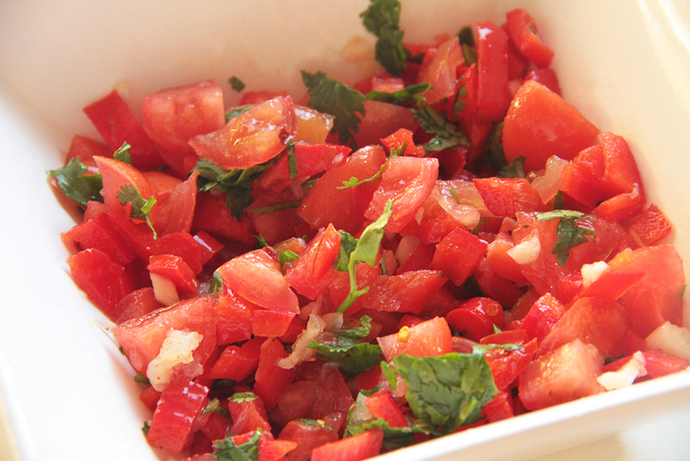 For the salsa, finely chop the tomatoes, capsicum, garlic and coriander and place in a bowl. Add the lemon juice and chilli flakes and stir. Store in the fridge. Prepare the simple layers. 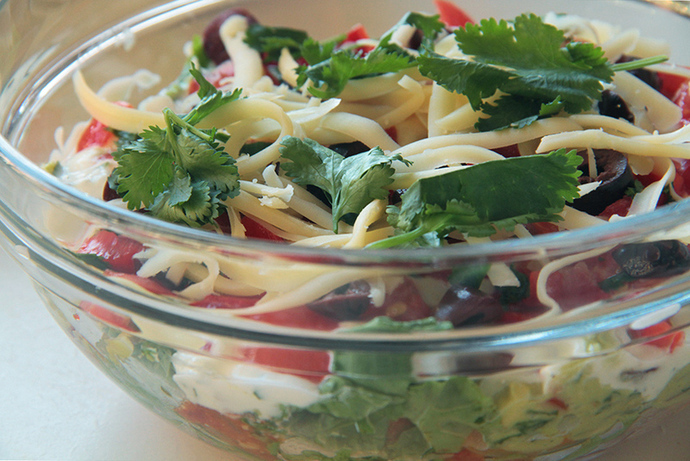 Chop the lettuce, slice the olives, grate the cheese and prepare the coriander leaves for garnish. Place all the layers on a bench top or table, along with two individual, roughly 12cm diameter, bowls. 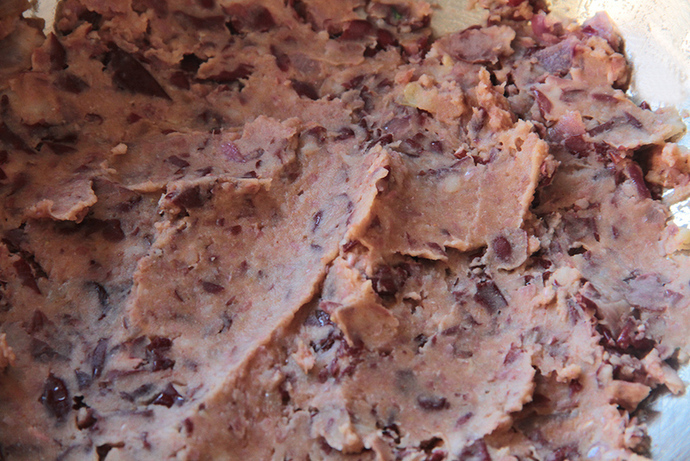 Using a spoon, place half the the kidney bean mash into each bowl. 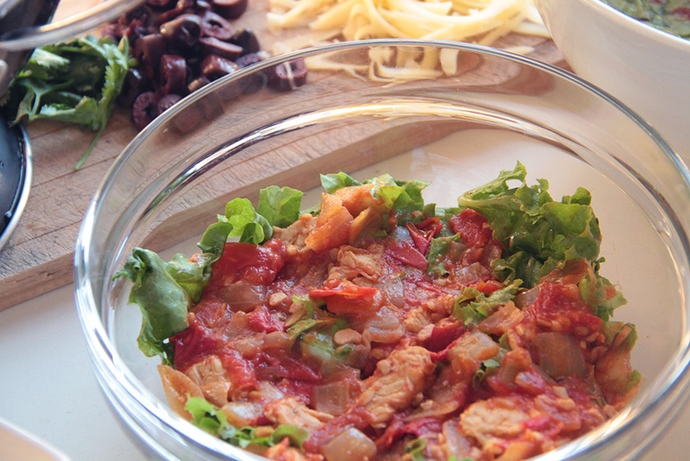 Place half the lettuce into each bowl, then flatten it down with the chilli con "tempeh". 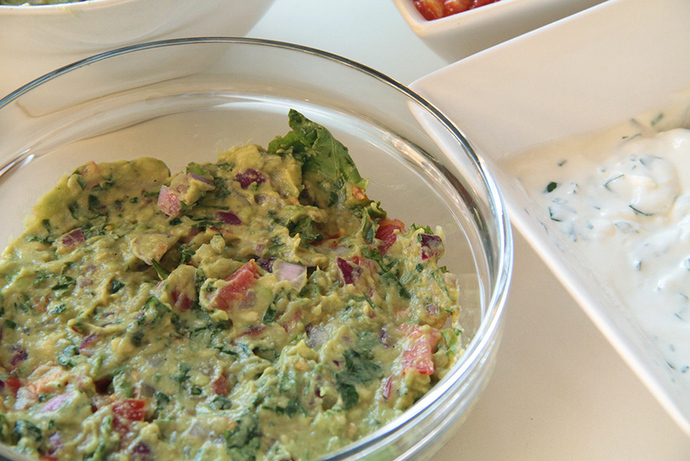 Top with the guacamole, then the "sour cream". Add the salsa and sprinkle over the olives. Top with the cheese and coriander. 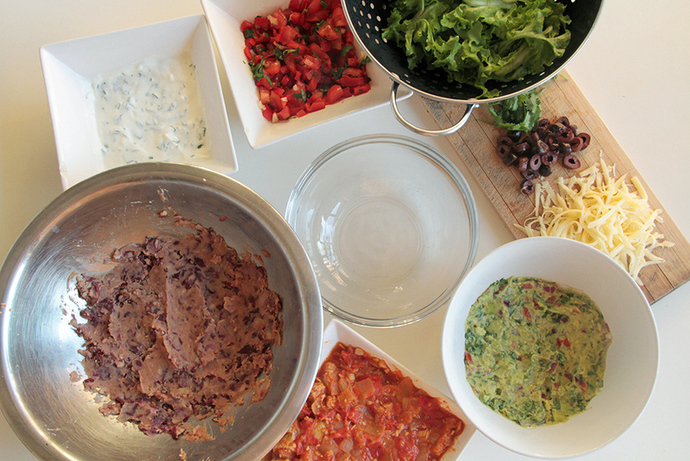 The bowls can be served immediately or kept in the fridge for up to a few hours.